TGSS Foamer | Lafferty Equipment Manufacturing, Inc. 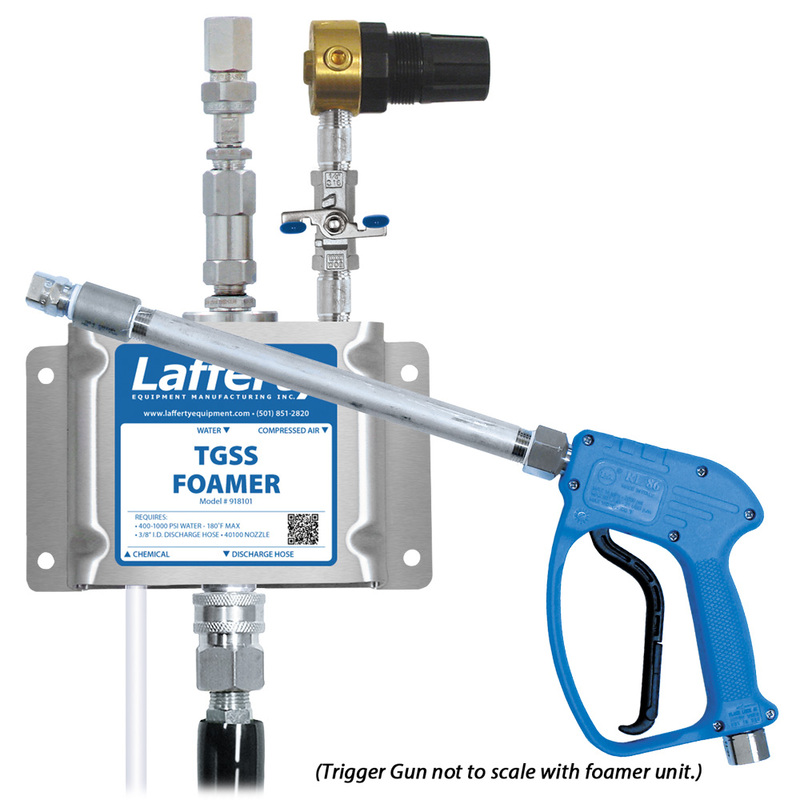 The TGSS Foamer is a trigger gun foam applicator for projecting foaming chemicals on to any surface up close or at a distance. This stainless steel venturi injection system uses high water pressure (400 - 1000 PSI) to draw and blend chemical concentrate into the water stream to create an accurately diluted solution. Rich, clinging foam is created by injecting compressed air into the solution to greatly increase volume and coverage ability. The foam is then projected through the discharge hose, trigger gun, and fan nozzle at distances up to 10 feet.